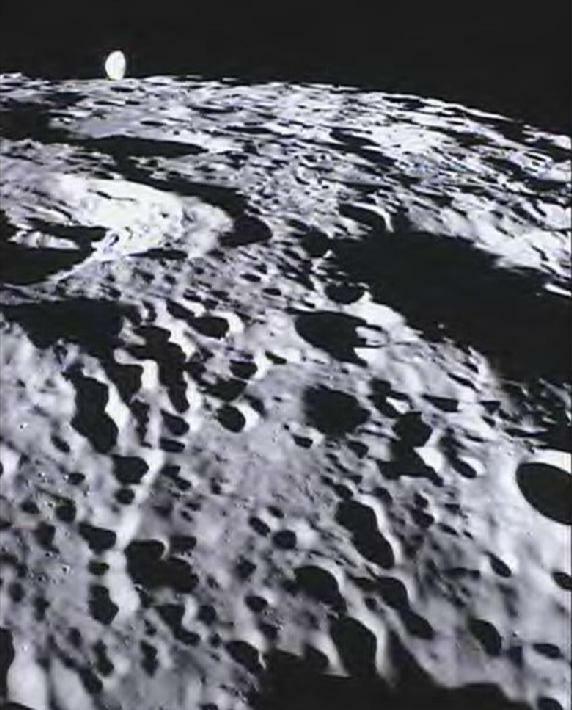 sent photos of the far side of the moon, as were selected by 4th grade students from the Emily Dickinson Elementary School in Bozeman, Mont.. The students at Emily Dickinson Elementary School were the first to request images of the moon as a reward for winning a nationwide competition to rename the two Grail spacecraft, NASA officials said in an announcement on March 22. The image was taken by the MoonKam, or Moon Knowledge Acquired by Middle school students. Previously named Gravity Recovery And Interior Laboratory (GRAIL) A and B, the twin spacecraft are now called Ebb and Flow. Both washing-machine-sized orbiters carry a small MoonKAM camera. Over 60 student–requested images were taken by the Ebb spacecraft from March 15-17 and downlinked to Earth March 20. According to Maria Zuber, GRAIL mission principal investigator from the Massachusetts Institute of Technology in Cambridge, Mass. MoonKAM is based on the premise that if your average picture is worth a thousand words, then a picture from lunar orbit may be worth a classroom full of engineering and science degrees. GRAIL is NASA’s first planetary mission to carry instruments fully dedicated to education and public outreach. Students will select target areas on the lunar surface and request images to study from the GRAIL MoonKAM Mission Operations Center in San Diego. The MoonKAM program is led by Sally Ride, America’s first woman in space, and her team at Sally Ride Science in collaboration with undergraduate students at the University of California in San Diego. More than 2,700 schools spanning 52 countries are using the MoonKAM cameras.